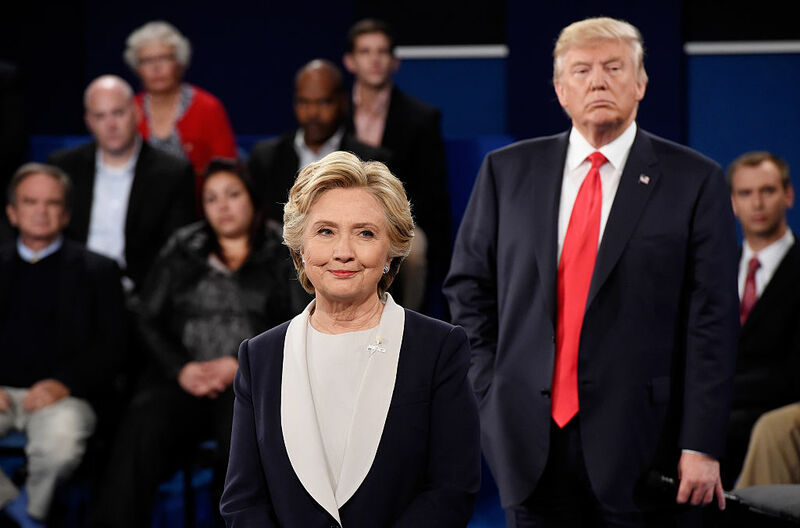 The second presidential debate between Republican nominee Donald Trump and Democratic nominee Hillary Clinton has come and gone, and in its wake, we are left clinging to the best tweets about the debate to comfort us. The town hall style debate, moderated by CNN’s Anderson Cooper and ABC’s Martha Raddatz, featured questions from real undecided voters. The crowd at Washington University in St. Louis Missouri watched as Trump and Clinton duked it out to secure the votes of undecided Americans and it was a “show” (can we call it that?) unlike any other. Fresh off a “lewd video” scandal uncovered by the Washington Post, Trump quickly jumped on the defensive, changing the subject to defeating ISIS before deflecting the blame on former President Bill Clinton. Clinton spent much of her speaking time defending her record, calling out Trump’s lies, and attempting to engage with the voters in the room. During events like these, watching the debate through the eyes of Twitter is often disorienting, hilarious, and a good reminder that you’re not the only one going crazy. Thanks to the power of tweets, we get to laugh, cry, and laugh some more. Not sure if this is a debate or a dramatic re-enactment of a YouTube comments section. Pls call National Guard. I ran out of wine & there are still 30 mins left in this TV show I'm watching were a lunatic is playing my nominee. Can someone let the Secret Service know that there's a crazy man wandering around the stage behind Hillary Clinton? Funny tweets often brings out the best and worst of the internet. We can watch as our country seemingly, maybe implodes from the inside out while having a laugh at a perfectly used GIF because sometimes comedy is necessary. As you sit in awe at the wonder in the ways of the internet and social media, take a second to register to vote. November 8th is going to be here before you know it so make sure you’re voice is heard.